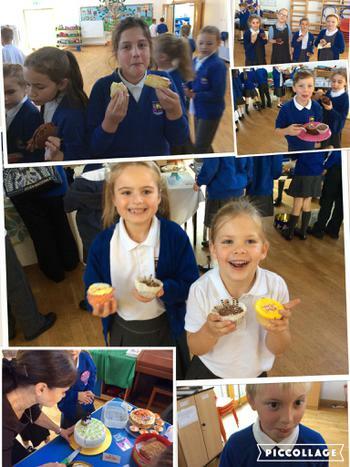 Many thanks to the children, parents, relatives and staff who helped to make our Junior Bake Off themed cake and coffee morning such a huge success. No one could quite believe their eyes at the sight of the 48 cakes which were brought in to be judged. The school council had a difficult choice choosing winners from the Key Stage 1 and Key Stage 2 although the process of eating the cakes seemed more straightforward! 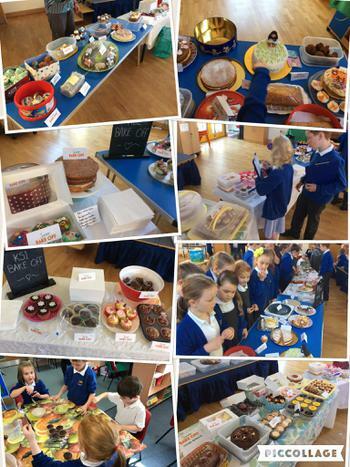 The Junior Bake Off was chosen by the school council to help raise money for charity, including schools run by the Diocese of Kolkatta in India. Altogether we raised over £180! Well done everyone! You can see lots more pictures on the school's India page and on the school's church blog.